Thoroughly re-imagined and retooled for the mobile web, the new release of PsychSim redefines what’s possible with interactive psychology simulations. 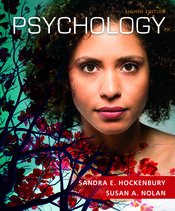 With its new look, new format, and new resources, it immerses students in the world of psychological research like never before, placing them in the role of scientist or subject in activities that highlight important concepts, processes, and experimental approaches. Visit our catalog page for PsychSim to learn more and try a sample activity!